Skype for Business Cloud PBX allows organisations to replace their traditional phone system and move to a managed service for making and receiving PSTN calls using Skype for Business Online. With Cloud PBX, PSTN call usage is managed by assigning users to a speicifc calling plan, with any additional call minutes being charged separately. However, by default it is not easy to see how PSTN call usage and costs are divided up meaning it is not possible to allocate call costs to specific parts of the organisation. 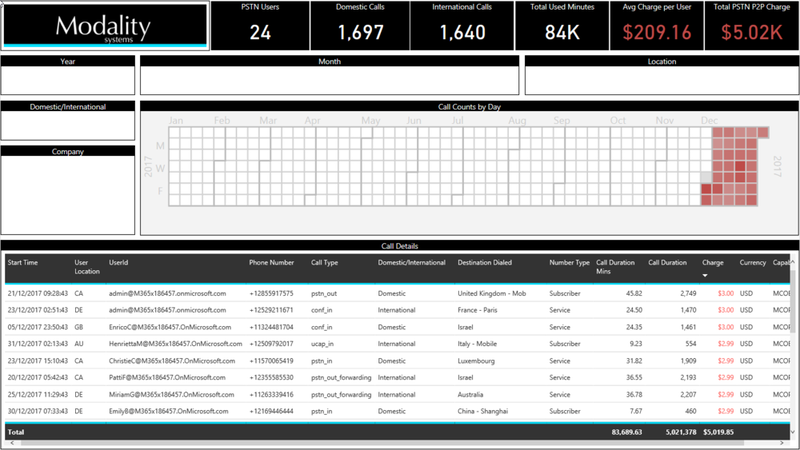 This Project provides a window into how users are making calls, how that fits with the PSTN plans they are assigned to and where call charges are being incurred. Using this solution organistaions can accurately assign PSTN costs to a country, department or user level easily. 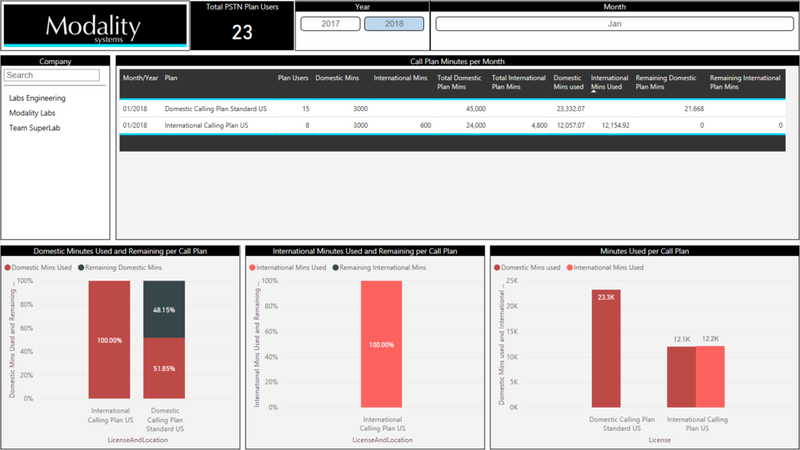 Data is visualised using Microsoft PowerBI to provide instantly understandable and actionable information. Users can drill-down to see individual call costs, or zoom out to see how much they are spending overall. A range of different reports are included, covering executive overview, current usage, monthly trends, costs, included vs chargeable calls etc. We are currently working with a select number of customers to gather feedback on this project, prior to making it Generally Available. For more information, to arrange a demo or to set up a trial, please contact us. 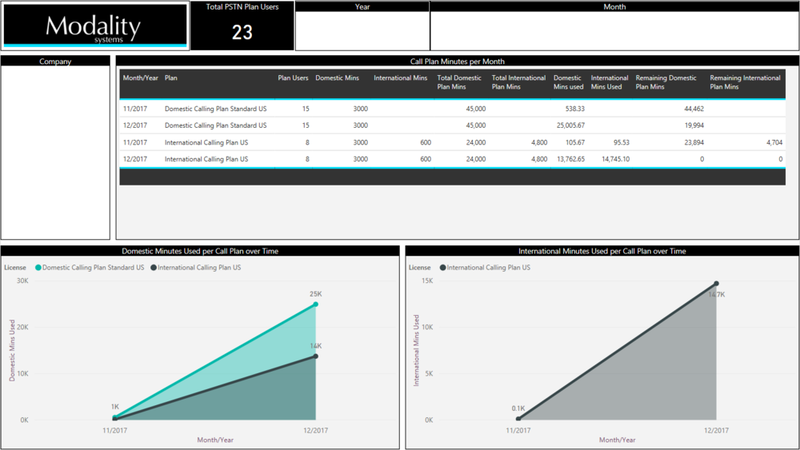 PSTN cost data is captured, processed and stored in Modality Systems' cutting-edge data warehouse (hosted on Microsoft Azure) to enable reporting over time, in order to track trends, identify efficiency changes etc. Data can be stored in the customer's tenant to satisfy data ownership concerns if desired, or managed by Modality Systems.